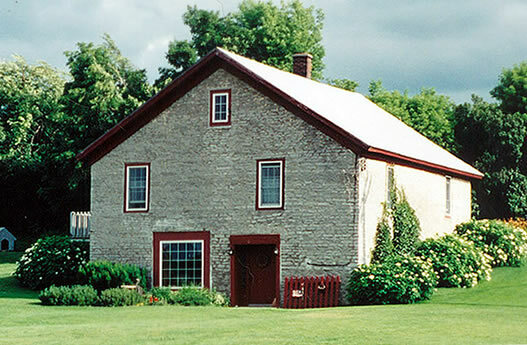 One of Elisha Camp's limestone mills built circa 1820 at Camps Mills, now a private residence. This site is intended to be an online archive of houses and homesteads throughout the town of Hounsfield, Jefferson County, New York, in order to preserve the memory of them for future generations. If you'd like to have your old family home included, then please email a photo of it, along with a description and any details you know about its specific location and history to hounsfield@hotmail.com. Dyer Burnham House (c.1837), West Washington St., Sackets Harbor. Thomas Broadbent Home Farm (c.1850), Foster Park Road, near Dexter. Elisha Camp Mansion (c.1816), General Smith Drive, Sackets Harbor. Samuel Guthrie Home (c.1820? ), Outer Dodge Ave., Jewettsville. Cornelius W. Inglehart House (1836), corner of Broad and West Main Sts, Sackets Harbor. Jenkins Homestead (c.1860), Old Salt Point Road, Camp's Mills. Membery-Cobb Home Farm (c.1815? ), Sulpher Springs Road, Camp's Mills. Benjamin Orchard Home Farm (c.1832), Old Salt Point & Parker Rd., Camp's Mills. Joshua Pickering House & Cottage (c.1817), West Main St., Sackets Harbor. Samuel Resseguie Farm (c.1840), Parker Road, Sulpher Springs. George Sacket House (1839), Broad St., Sackets Harbor. Washburn Home Farm (c.1825), Old Salt Point Road, Camp's Mills. Woolsey-Wardwell Mansion a.k.a. "Camp Haven" (1816), West Main St., Sackets Harbor.